Cozy Chicks: Happy Birthday, Mary! 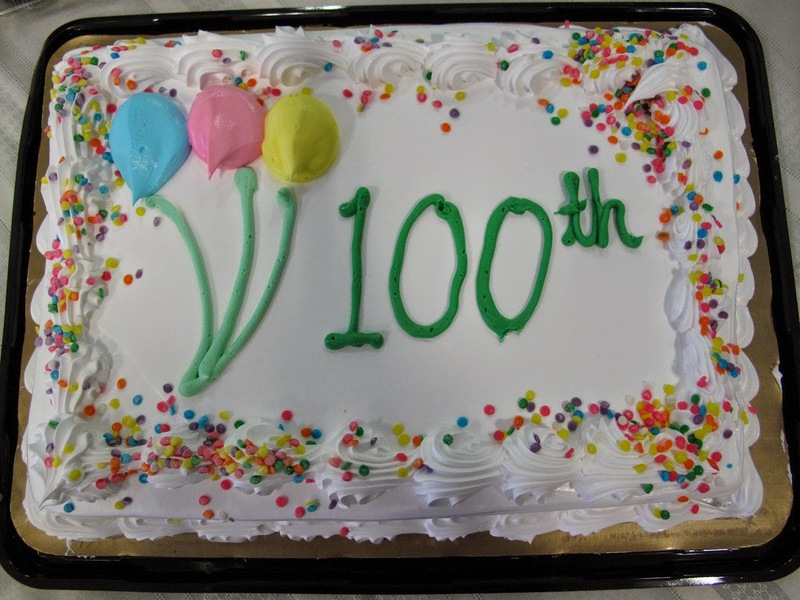 This week my husband's family is celebrating a remarkable event: his mother's 100th birthday. 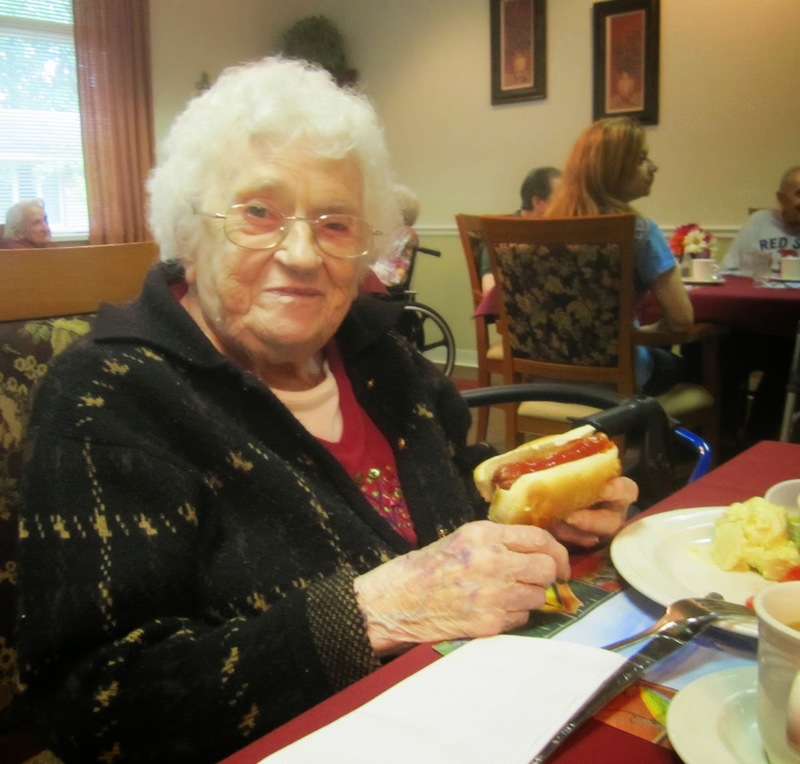 She lived on her own until the age of 96. That's when we brought her from Buffalo to Rochester. She lived in assisted living for another three years before a health crisis forced her to move to a nursing home earlier this year. Still, she's very sharp for her age. She reads the daily newspaper and talks about current events. She loves to play Bingo and Uno (and win). We've planned a party for next week for close relatives and her peers in the nursing home (ALL of them younger than her) this week. So, Happy Birthday, Mary -- and I hope you celebrate many more. 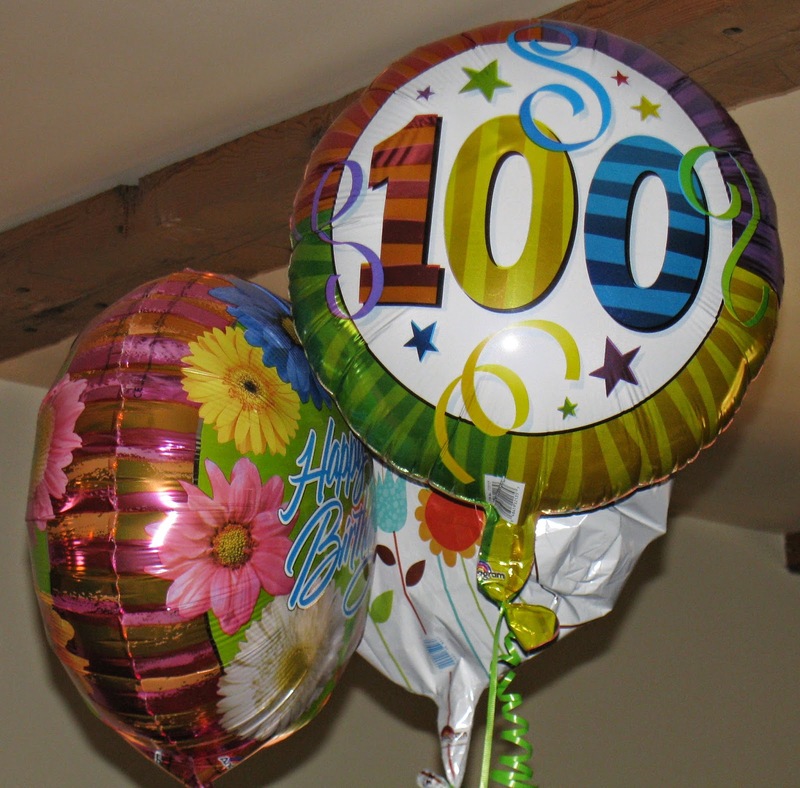 Have you ever had a family member make it to 100 or beyond? That's a remarkable milestone. Happy birthday to her! This is so fantastic, Lorraine! I was thinking of your mother-in-law last week because a friend is settling into a nursing home. I've been meaning to ask you how your M-I-L was doing, so it was really wonderful to see this post. A big congrats and happy birthday to her! She sounds amazing. None of my relatives have made it to 100, 100 is really something!! Happy Birthday to your mother-in-law. That is amazing. My father-in-law just turned 98 last month and he's already planning his 100th birthday. Best wishes for a wonderful birthday celebration and many, many more. Yes, my father's grandfather, my great grandfather. He lived next door to us. Remarkable is right. Enjoy. How wonderful to still have her in your lives. Happy Birthday Mary. 100 is a great milestone. Enjoy your day and your party. My mother in law lived to be 101. She was on her own to 100. Like Mary, she was a hard worker. She grew up on a farm in northern Mn. and lived and worked it until my Husband was in collage. Then moved to Minn, Mn. and worked as a cook for Honeywell into her 70's. My father's oldest sister lived to be 104. She outlived all her siblings. Congratulations to Mary! My great-aunt Emma lived beyond 111. At 100 she took the city bus downtown to go to the Farmers Market, brought her groceries and a rose bush home, again on the bus, then planted the rose bush. There are lots more Amazing Aunt Em stories! I wish all the best for your mother-in-law. My MIL is 92 now and I know she'll bury me! Please say congrats to Mary from me (not that she'll know who that is). Terrific that you have a hubby with such good genes. Lorraine. Have fun at the party. Happy Belated Birthday to Mary!